This will be the third Digital Leadership student conference associated with the 21st Century Learning Conference, 21CLHK11. Students will experience working in a variety of different formats to explore the challenge of Student Digital Leadership in Schools. This is very much a student led event and students will be asked to do some preparatory work in advance. Working in teams, students will prepare and deliver breakout presentations to the group (prepared in advance), as well as taking part in other fun activities. Stimulus materials will be supplied by conference convenor, Hugh Brown, once you register your school. This is an event designed for any student who is involved in digital leadership in a school; student help desk crews, video production teams, audio visual crews, those involved in makerspaces, or coding. They will share ideas and best practices and help to form an inter-school community of students involved in these areas. 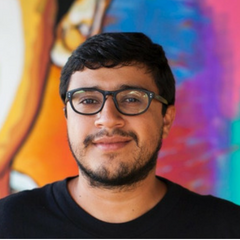 Students will also participate in a session by one of the 21CLHK11 keynote speakers; Juan Pablo Romero Fuentes, Social Entrepreneur, Educator & Top 10 CNN Hero. Juan will talk about the educational challenges facing Guatemalans students and how he is building safe environments and career pathways to dignity and lifelong change for all Guatemalans. As part of that work, he has established a novel form of schooling in his country. His inspirational message to students will be about self-empowerment and the capacity for young people to make a significant contribution to the lives of other young people. At the end of the day, students will report back the conference on their discussions and explorations. Some students will also be selected to attend and present in panels at the 21st Century Learning Conference which is a unique opportunity to engage with educators on meaningful topics. All students have the ability to volunteer to help to be part of the conference support team at the conference and earn CAS hours (certificate provided). Teachers will be required to accompany students from any participating schools. Who: Students (and supporting teachers) from Hong Kong schools, Bay Area, and beyond! Lunch and snacks will be provided to all participants. This is a free event for all students and teachers. Social Entrepreneur, Educator & Top 10 CNN Hero. Juan will talk about the educational challenges facing Guatemalans students. Juan Pablo says his job is to create safe environments and build pathways to dignity and lifelong change for all Guatemalans and as part of that work, he has established a novel form of schooling in his country. His story demonstrates the power of young people to make a difference in the lives of other young people and in society in general. No Cost – It’s Free! Will Students Be Available to Volunteer at 21CLHK Conference?